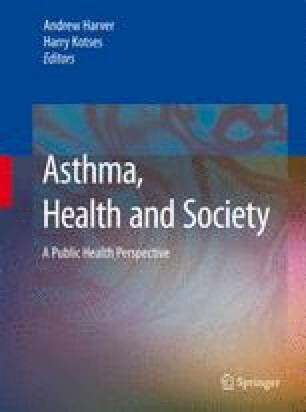 Although many of the basic physiological processes are similar, there are sufficient differences between childhood and adult asthma to make the onset of disease, clinical symptoms, and psychosocial interactions unique to children and to adults with asthma. The impact of asthma on children and adults is also different, and these differences must be understood and considered in the development of various asthma control prevention strategies for lifespan disease management in children and adults. There are also differential concerns in terms of the burden of asthma in these populations. Moreover, the real impact of asthma in many cases is underestimated, and available estimates of the burden of asthma should be used with caution. In this chapter, we review the intermittent, variable, and reversible nature of asthma, and we adopt a lifespan approach in characterizing the burden of asthma in children, in adults, and to society. We also emphasize a lifespan perspective to the management of asthma. Asthma is a chronic disease that requires complex and multicomponent individualized case management interventions to improve physician practices, health outcomes, self-management of asthma, and overall quality of life in asthma patients.